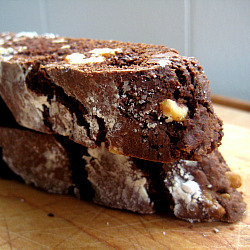 Biscotti is one of those things that has been on my list to make and I have yet to do it – these look so yummy though!! Made these this morning…WOW. The wonderful aroma alone wafting through the house is worth it! They’re delicious! BTW, Amanda Dean is my sister so I have her to thank for turning me on to your awesome blog. Thanks for all the crazy-yummy recipes! Jaimi – thank you so much for checking out my blog and for the kind words about it. 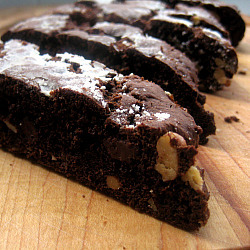 So glad that Amanda referred you to me and that the biscotti turned out well for you!